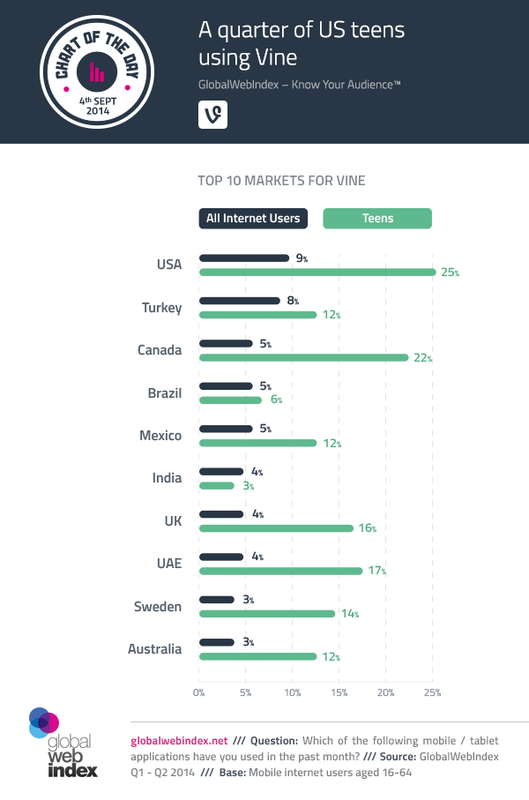 My colleague from Notts TV Hollie Brookes sent this over to me and whilst on the surface there are no real surprises – young people prefer Vines and dominate the user stats, it does start to show that there’s an indication of more significant changes ahead. There are a few key points in this for me. 1. It’s not just a great way for marketeers to target teens, it’s also indicative of their falling attention spans and that means we need to consider where else this impacts. For example, does this imply that the education system needs to consider a move towards teaching through very short video clips? 2. Does it mean that there is a general move away from long copy text? I know from my own stats on here that if I write more than 200 words, the readership drops off very quickly. 3. But look at the opportunities it presents too. The big one for me, is the question as to whether Vines could become the new mnemonics as a potential way to teach? Could the looping, repetitive nature of Vines be a great way to reinforce simple messages?